It’s the dreaded fear of math. Your heart races, your hands tremble, your mind goes blank. Are you watching the latest scary movie? No, it’s math anxiety and it’s real. 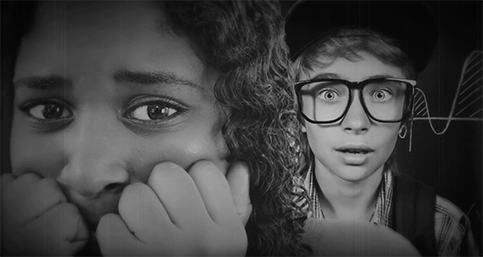 Even the best students can suffer from math anxiety. How can you help? Spot the symptoms and intervene to boost students’ confidence and success. Math anxiety is a learned behavior, it is not a reflection of a student’s ability. Turn trepidation into triumph by trying the strategies listed below in your classroom. Give students access to resources that act as a personal tutor. "Are parents to blame for students’ math anxiety? After all, parents are the first teacher and primary role model for their children..."
Work on the mathematical building blocks. "Which came first: math anxiety or poor performance? Well, math anxiety may be both..."
"Numerous studies have shown the link between how teachers feel about math and the math learning outcomes of their students..."
The enVision high school math series uses real-world problem-solving experiences and visual learning. Kids see the math, so they can better grasp new concepts. Teamwork, 3-act math tasks, and Desmos activities make math more accessible and a whole lot less frightening. Try these free resources in your classroom today! 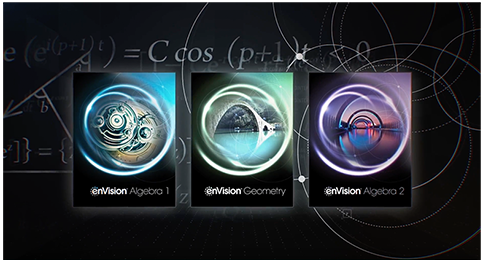 Want to learn more about enVision A|G|A and enVision Integrated Mathematics?